Zhou Xun: "拉贝Diary" comes after "Li Mi's Encounters"? Hua Yi Brothers recently disclose their new important project, cooperating with German producers to make movie "拉贝 Diary", will be directed by German director John Rabe. It was reported the movie bases on the book named "拉贝Diary" which was published 10 years ago in German. It was also then translated into many languages and got attention all over the world. It tells about Nan King massacre, occurring in December 1937 when Japanese troops occupied the eastern Chinese city, Nanjing and killed over 300,000 people. The movie that is invested $30 million, is scheduled to shoot in October. Recently news spreads that Chinese actress Li Bing Bing will play leading role in the movie. Yesterday reporters called related people to verify this and knew possibility of Li's attendance is very small and Zhou Xun maybe replace her, will co-star with Chen Kun. 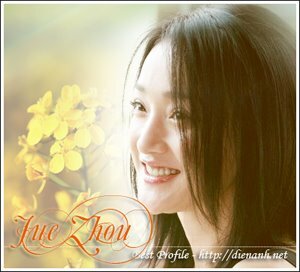 However, so far there is no confirmation from Zhou Xun.